From a young age, we are taught that falls are simply a part of life. A scraped knee or bruised leg are easy to ignore at a young age, but the same should not be said about the elderly. One out of four adults age 65 and older fall each year. Due to weakened bones and chronic medical conditions, every fall should be taken seriously. Taking appropriate actions and learning ways to reduce falls can help your loved one remain independent and avoid serious injury. Encourage your loved one to see their doctor to discuss fall prevention. Many chronic conditions increase the risk of falling, and with more than 90% of seniors being affected by conditions such as stroke, diabetes, and arthritis, it is important to learn how these diagnoses can affect gait and balance. Moreover, be sure to take a list of medications your loved one is taking to the appointment— this includes vitamins and ointments. Some prescriptions can cause dizziness and drowsiness on their own or when combined with others. It is imperative to have the general practitioner and all specialists aware of any current prescriptions and dosages your loved one is taking. Chronic conditions such as gout, diabetes, and polyneuropathy can cause feet to swell, leading to poorly fitted footwear that is often accompanied by pain. Speak with your loved one’s doctor or podiatrist about setting up regular foot checks, and ask if orthopedic shoes could be a good choice. Regardless of your loved one’s medical conditions, shoes should not restrict movement or feel tight. Avoid high heels, thong sandals, loose slippers, and shoes that are tight around the toes. It’s important for people of all ages to stay active. With a doctor’s approval, light exercise such as stretching, walking, and water aerobics could aid in preventing falls. When performed regularly, these activities can improve strength, balance, and coordination and may aid in slowing down the progression of osteoporosis. Speak with your loved one’s doctor if they develop a fear of falling or getting hurt during times of physical activity. Many geriatric clinics offer monitored exercise classes or can refer them to a physical therapist. Keeping bones strong and healthy can help keep your loved one safe from falls and speed up recovery if the unfortunate happens. The chances of developing mobility and disability issues increase with age, but assistive devices could help keep your loved one grounded. Encourage the use of canes, crutches, and walkers if appropriate. These devices help to shift weight and provide a foundation to rest on. However, keep in mind that not all assistive devices are the same. Your loved one’s doctor may recommend a certain device that fits their needs, and sizes and heights should always be considered. Along with the proper assistive devices, a clean living space can keep your loved one from falling. As a simple rule, always discard trash as soon as possible. Piled up boxes, food containers, and newspapers could easily find their way to the floor and cause falls. Electrical cords should be tucked away, and smaller furniture and floor décor should be placed away from high-traffic areas. In addition, rugs should be slip-resistant and secured on all corners. Think about your family member’s day-to-day tasks and make sure that the things they use regularly are organized and within reach. It’s easy to put off tidying up, but staying on top of it will improve your loved one’s safety in the long run. Being honest with your loved one and their physician. According to the Centers for Disease Control and Prevention, “falling once doubles your chances of falling again.” Falling can cause serious injuries that can result in disabilities and depression. Keeping your loved one healthy is a critical component in their ability to live independently or with limited monitoring. 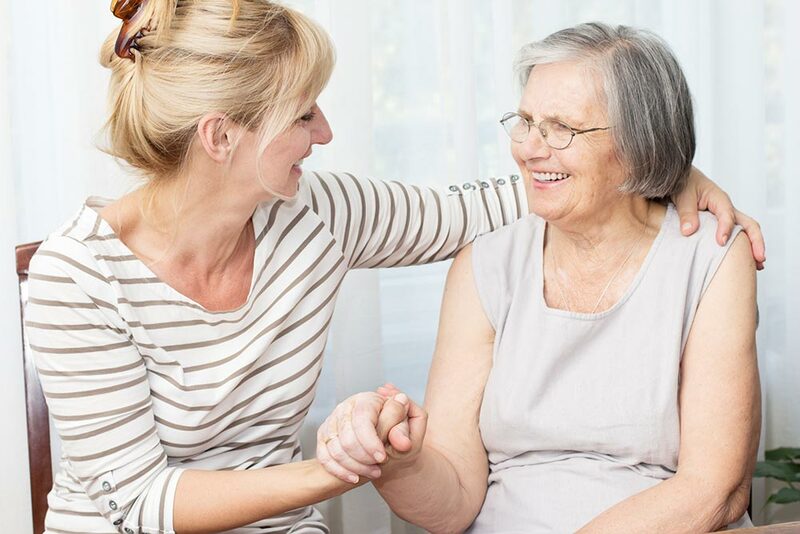 If you find your loved one holding onto walls or objects, being fearful of falling, or having almost had a fall, approach the subject with them in a sensitive and caring way, then speak with their doctor about the best next steps. Falls happen, but many falls can be prevented. No matter how “small” the fall, be sure to notify your loved one’s practitioner. Their independence depends on their health and safety. Taking precautions and preparing could help in avoiding serious injury, now and in the future.